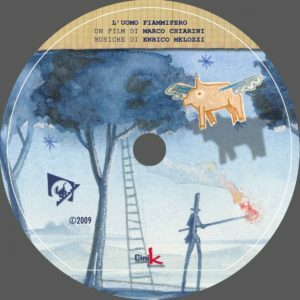 L’UOMO FIAMMIFERO – LE MUSICHE – LA COMPOSIZIONE SECONDO ENRICO MELOZZI Ho usato pochissimi strumenti per registrare questo film. E comunque strumenti poveri e popolari. Un pianoforte con dei bulloni, delle viti, dei bicchieri dentro. Un organetto, un quartetto d’archi. Una piccola kalimba. Qualche tamburello.Un flauto a coulisse, un’ocarina. Il resto è stata tutta un’emozione. L’ho costruita come un gioco infantile. Con temi apparentemente semplici, ma che all’interno hanno la vocazione per la scoperta del profondo che si trova nella fantasia di un bambino. Il tema del finale è costruito con la tecnica contrappuntistica del canone. Il tema della mamma è invece una specie di “Siciliana”. Per i titoli di coda invece ho registrato con Danilo Di Paolonicola il “Saltarello più veloce del mondo”, che è di fatto un vero e proprio record di velocità. Danilo infatti ha vinto il campionato del mondo di organetto per 5 volte, prima di diventare un apprezzato jazzista. Abbiamo deciso di esagerare con la velocità, per avere questo primato! 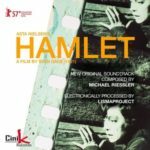 Inoltre Marco Chiarini è stato un’ottima spalla, in studio mi ha appoggiato in tutte le scelte e l’esperienza con lui in questo film è stata meravigliosa. The Thin Match Man (L’uomo fiammifero) Notes on the music score for a sulphur-flavoured film! The story of the movie Thin Match Man, played by Francesco Pannofino and filmed with a 30,000 euro budget (out on dvd and blu-ray) continues its success with yet other two awards at the 28th edition of the Sulmona Film Festival. The jury, chaired by actor Pippo Delbono awarded the debut of Marco Chiarini with a Special Mention to the film (the citation reads: “for the brilliant stylistic creativity in the use of cinematographic language plays with the viewer to tell a fairy tale for adults”) and the award for Best Music Score to Enrico Melozzi, for the following reasons: “because it was made with various techniques and genres, that witness a musical research necessary to accompany the emotions of the film”. The award to Enrico Melozzi, composer of many Italian films’ music (“La casa delle nuvole”, “Fratelli d’Italia”, “Diario di un curato di montagna”) is the second for the music of The Thin Match Man, after the recognition of the Messina Strait Film Festival. “Winning this award – said the composer – excites me a lot because it takes me back to my region, Abruzzo, for which I have always fought and continue to fight . I thank Cinik Records that believed in the project and Marco Chiarini who had confidence in me and gave me the opportunity to meet with the magic. I tried to compose music as a child would. What seemed impossible became reality thanks to Marco Chiarini, who surrounded me with toys and enabled me to be a child again in order to write these songs. We have turned the recording studio into a kind of a kindergarten. And we enjoyed making our film”. THE THIN MATCH MAN – THE MUSIC – THE COMPOSITION ACCORDING TO ENRICO MELOZZI I have used very few basic and popular instruments to record this score. A piano with bolts, screws and glasses inside of it. An accordion, a string quartet. A small kalimba. Some “tamburellos”. A slide whistle flute, an ocarina. The rest was all emotions. I built it as a children game with seemingly simple themes, that evoke the deep meanings of a child’s imagination. The theme of the last scene is based on the contrapuntal technique of the canon. The theme of the mother is a kind of “Sicilian” tune. For the ending credits I recorded the ” world’s fastest Saltarello” with Danilo Di Paolonicola, which is in fact a real speed record. Danilo won the accordion world championship 5 times before becoming a popular jazz musician. We decided to go overboard with the speed, to get that record! Marco Chiarini was also a great help, supporting me in all my choices and the experience with him for this movie was wonderful.